Aventurine is yet another member the of quartz family, it is sometimes classified as a rock since it contains more than one type of mineral. It is largely quartz, but also contains fuchsite (a type of mica) or hematite. The aventurine containing fuchsite is a medium to dark green with a silvery green or blue sheen. Aventurine with hematite is typically red-brown or gold-brown. Fuchsite, the source of the green color in green aventurine, is a type of mica or muscovite containing chromium. Aventurine quartz is found in Brazil, India, Austria, Russia and Tanzania. Aventurine is usually used for ornamental objects and cabochons, including beads and carvings. 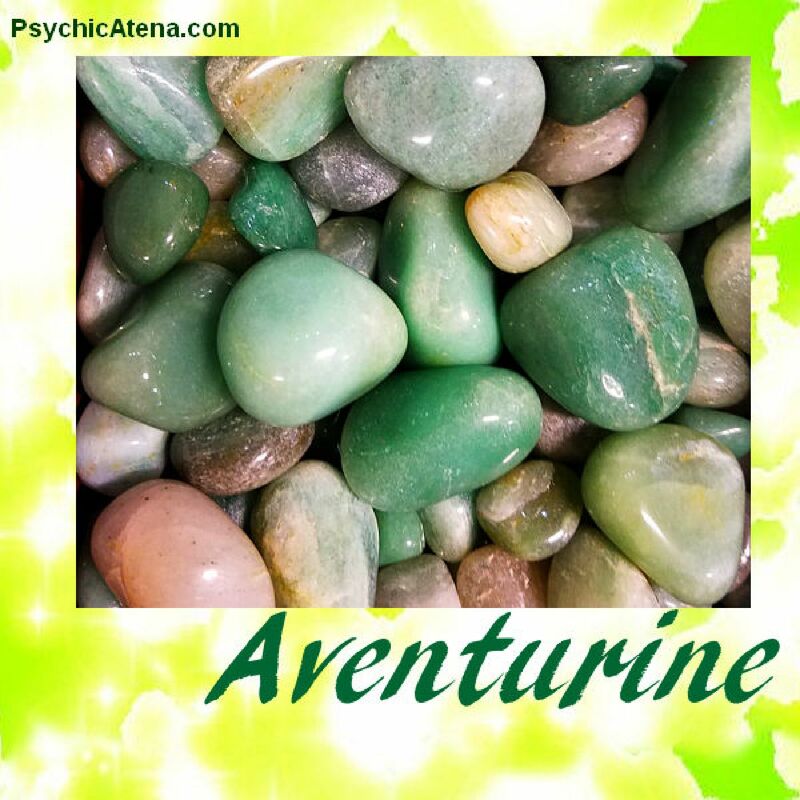 Aventurine is a prosperity stone, well known for bringing good luck and fortune, but it also has many valuable qualities as a healer's stone, becoming more helpful in our modern world as electromagnetic pollution is becoming more and more prominent, Aventurine helps alleviate some of the effects of this invisible distraction. Aventurine aids in compassion and empathy and inspires creative thinking and problem solving. A gift of aventurine for a new business opening is a great way to help bring wellbeing and good fortune to all who work there, as aventurine also helps dispel the ego without diminishing drive, helping people work more effectively as a team.